Returning to the original theme of my blog, I thought it was worth mentioning a few recent purchases I made at Healthzone in Wimbledon. 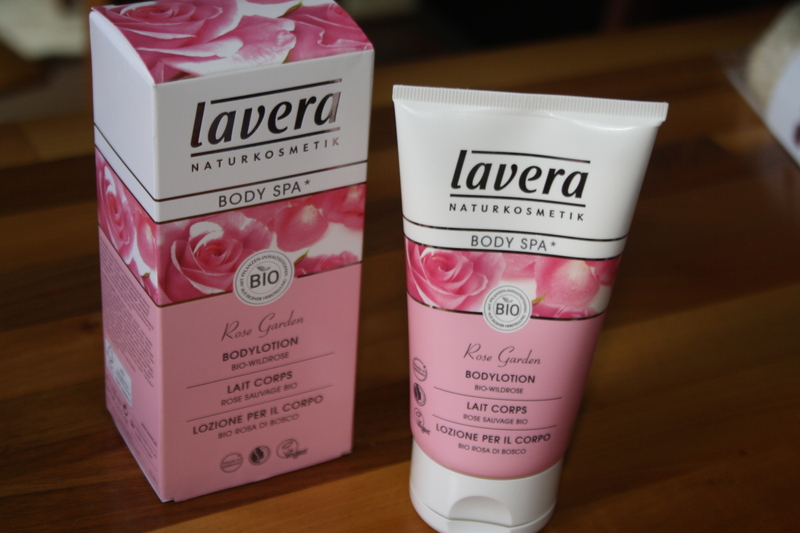 Lavera is a German range of organic and eco-friendly products that I have used on and off since having my older son. Unfortunately, it still doesn’t seem to be that widely available on the UK high street, which is a shame, as I think it’s a lovely and very reasonably priced. My most recent purchases were the ‘Rose Garden’ body lotion and bath and shower gel, part of the Body Spa range. I’ve been a real sucker for rose scented stuff since falling in love with the Aromatherapy Associates rose massages at Space NK in Ladbroke Grove many moons ago. I don’t get up there much nowadays, and am always on the look out for lovely rose-scented stuff. What I love about this Lavera range is firstly the price. The body lotion costs approximately £8, as was the shower gel. This, I think, compares very favourably with other eco-ranges. I was initially a bit dubious about the size of the tube (150ml) and how long it would actually last me. As it turns out, the cream is incredibly rich, which means that you really only need use the smallest amount. It’s incredibly moisturising: very unusually for an organic range in my experience, and in addition leaves it feeling gorgeously soft and scented. « What’s wrong with being mediocre? !